Unlabelled BLOG : In Colombian city, Image believed to be 'Jesus Christ' appears where 17 people died. 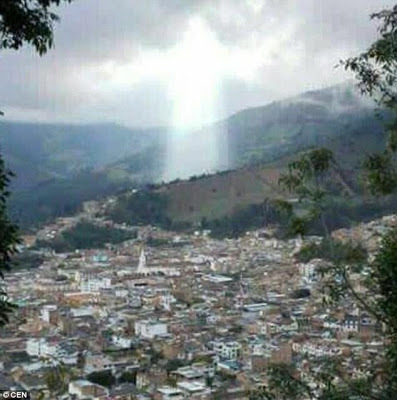 BLOG : In Colombian city, Image believed to be 'Jesus Christ' appears where 17 people died. 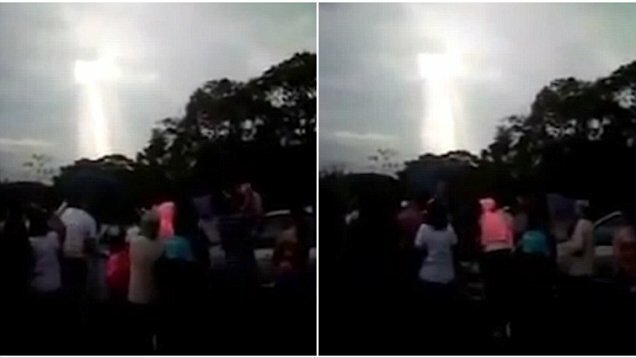 In the north central Colombian region of Caldas, just a week ago, crowd gathered filming what locals believe to be the figure of Jesus standing over a Colombian city recently ravaged by a landslide.17 people died a week ago following the landslide believe they saw an image of Jesus Christ in the cloud hovering over the town. The rare cloud phenomenon was recorded on a mountain called Sancancio and the glowing figure provided comfort to the residents who lost homes, loved ones and possessions in the natural disaster. "Oh, my God, my blessed God, come here to see the misery. Look at this, look at this, blessing God. Glory to the Lord. Do you see the Lord there, standing up?" The government described the natural disaster that led to the death of the locals and the destruction of many homes in the city as the second deadly landslide in the country in the past one month.